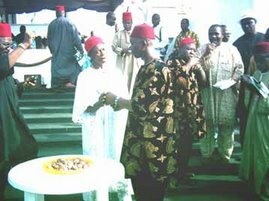 Odenigbo Aka-Ikenga: Anambra is ancestral home of the Igalas. It was Professor Anta Diop of Senegal who observed that ethnic groups often do not realize the extent to which they share kinship with the language, culture, traditions and historical socio-political structures, evolved by communities they have come to view as rivals. Indeed ethnic groups tend to see themselves as self-enclosed communities. But as an example are the Luluas of Kenya aware of their kingship with the Luluas of Senegal? By the same token how many of us in Nigeria are aware that Anambra State is the ancestral home of the Igalas, Ngwas, Jukuns and Binis? Yet it remains historically true that Anambra State is the birth place of the founding fathers of Bendel, Imo and Benue States. Hence in language classification these separated people speak a common language which forms part of Kwa group of West African languages. From Archeological discoveries at Ugwuele near Okigwe dating their existence to some ages follows that the Igbos were descendants of the first men of earth now traced to the Oduvai Gorge in East Africa. In historical literature, the Igbos, originally known as Iduus had their territorial distribution covering South west of the African continent later converging at the whole of the low lying land mass North and South of the Niger and Benue river confluence, down the Niger and Anambra River basins right down to the Niger Delta and westward to River Okpara beyond Lagos as shown in Rev. Johnson’s map in his history of the Yorubas. Later the low land dwellers were characterized as the Olu and the highlanders as the Igbo. Waves of migratrants led by Eri settled at Anambra River basin, establishing the ancient Iduu Ime KINGDOM at Aguleri. Historical traditions relate that his progenitors included Agulu and Menri (from who were descended the Nri), Igbo, Igala, Oba (whose descendants were the Binis) Enuike and a daughter, Ulu-uwa. Igbo, an itinerant missionary acquired large Iduu followers who became known as Igbo people thus losing their Iduu identity just as followers of Christ are called Christians whether they came from Rome, London or Bonn. Eris other descendant Menri established a priestly kingdom at Nri known for purification ceremonies and coronation of tributary of Iduu Ime kingdom. Hence, the Eze Nri Obalike (Nri kings (1989-1935) in the first decade of the 20th century told the Government Anthropologist, Northcote Thomas, that the area subject to him was Iduu. “A marked feature of this (Nri) tribe is its hostility to the European, natural enough, when it is remembered that prior to the British, the Obalike was Eze Nri and crowned the kings of Benin and presided over all the religious observation of surrounding peoples”. It was the tradition that coronation titles were usually conferred on tributary kings by the ancestral Iduu Ime kingdom which also assigned to each a General as head of the palace guards. 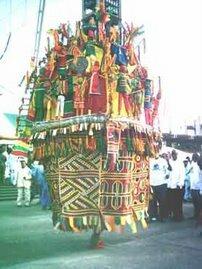 Hence in honour of their ancestor, Atta the ruler of Igala was titled Atta of Igala. The founders of Benin were the descendants of Oba Eri whose habitation was UgwuOgodo where exists today, the Ogodo spring in Umuleri, near Aguleri. Hence the Binis in modem times still trace their ancestry of “Igodo” a corruption of Ogodo, an Igbo word for elevated place. Hence the first king of Benin, Iweka (anglicized to Eweka) was titled Oba in honour of their ancestor, Oba Eri. Eweka is English spelling of Iweka just as the letter E in England is pronounced I, This name Iweka an Igbo name in full means Iweka n’uno. It reflected the internal feud at the time the-would-be king was born. His second name was Edoziuno, Edo for short, meaning peace maker, thus was derived Edo Kingdom. The name Benin itself was a corruption of the Igbo words. 'llo obi inu', meaning a place of bitter mindedness, again reflecting the quarrelsomeness of the people at that time over kingship disputes. To the first Benin king was assigned General Ado from Iduu Ime as head of his palace guards. According to the tradition of the people, Egbunike, the founding father of the Ogbunikes has three brothers, Awkuzu, Umuleri and Nando and a sister, Nwonicha. General Ado who was assigned to the Oba of Benin, married Nwonicha and the marriage resulted in such progenies as Onitsha Ado, Ado Ekiti etc. The Marriage formed the basis of the link between Ogbunike and Onitsha, thus giving the historical background to the Igbo adage which says: “Afuzi Onicha, Ogbunike ewelu,” meaning in the absence of Onitsha, Ogbunike takes its turn. When therefore Eze Chima, a descendant of General Ado in his flight with others, first from Benin, then from Agbor, named his son Onitsha, in honour of their maternal ancestors, and established Onitsha Ugbo and Onitsha Olona and the entire Umu Ezechima being referred to as Onitsha Ado, the origin of nomenclature cannot therefore be in serious doubt. The Igalas who are descendants of Atta Eri had their ancestral home in Aguleri in the area of Ama Atta (Atta-in-the-fields). Igala was said to be the father of Ikem and was reputed to have such descendants as Omor, Omasi and Umuneke. The Ikems had sometimes settled in Umukete Agukeri, whose descendants were supposed to be the Ikem of Nando, Ikems in Nsukka, Ikems in Onitsha and other areas. It is relevant to note that in a preliminary statement on the excavation made in Aguleri by the Department of History and Archaeology, University of Nigeria, Nsukka, Dr. F.N. Anozie said that the excavation took place at a site known as “Okpuno Igala”; and that is known to everybody including school children in Aguleri as a deserted Igala settlement. He said, there were sites with walls, one deserted and the other still inhabited by a group of Aguleri people, who during the author’s filed work in the area said they had blood relations with the Igalas. At the approach is the Ama Atta which seemed to have once been a village square. Almost at the centre of the enclosure is a mound known as “Ukpo eze” (kings throne” and North –East of the mound is the Owelle Atta (toilet area) and Ajo Agu Atta (cemetery). The present Umukete people in Aguleri who claim blood relationship with the Igala people have their village walled, and traces of the wall could still be seen today. When an elderly man from this group was asked by excavators from the University the relationship between them and the Igalas, he said that the father of Igala and Igbo were sons of the same parents and that whenever anybody from Umukete went to Idah he normally would go to greet the Atta or the King. The greeting usually went as follows: “Ata abikibo bie takata bie Igala” which translates the lgbo saying that “Igbo is senior to Atta and Atta begot lgala. This is also reflected in the lgbo saying that: lgbo mulu Atta, mana Atta mulu lgala.” This oneness of lgbo and lgala is also reflected in lgbo adage which says “Alusi lgbo jebe mbana, obulu, alusi obodo lgala” which interprets that the spirits of lgbo-land in transit constitutes the spirit of lgalaland. Those who still doubt the common ancestry of lgbo and lgala could refresh their memory with this popular lgbo adage which says, “ Egbusia lgbo nine, lgbo afodukwa na lgala”, meaning even if all lgbos are wiped out of existence, the lgbos still remain in lgalaland. As with lgala, so is ldoma, who still have remnants of ancestors of ldoma community in Aguleri. Aku was the fourth son of Agulu whose pregnancy were the Jukuns. The Jukuns as a result of their assertion of their monarchical sovereignty moved North-East of the Middle Belt area. They adopted a kingship tradition that is based on the lgbo abuana (puffada) life cycle. As the puff ada is said never gives birth naturally, but that the young ones bores through its mother which dies in process, the Jukuns kings live very short lives, dying untimely after about seven years when there are signs of maturity of a successor. The Jukuns greet their kings after his coronation as Agaba Iduu meaning” Iduu Field Marshal whereas in their ancestral lduu land, Agaba Iduu does not refer to the king but to a war lord. Traditionally, the Jukun king’s title is Annum Agaba or Ojogwu Oji Agaba. The Jukun separation from Iduu kingship tradition followed the battle of Nando waged against their relations, the Aguleries. It ended in the Jukuns settling up coronation spot in Wukari. Thus the Nandos in Wukari, in the Middle Belt are presumed to be relations to Ikem, son of lgala in Benue State, and the Nandos in the present Anambra Local Government Area. The war of succession from lduu Kingdom was initiated by the Oba of Benin known in lgbo historical literature as Agha lduu na Oba. (war of the lduu and Oba). It was a protracted war that touched most lgbo areas. It was intensified when the Benins acquired arms from the Portuguese. Then followed the war of secession of lgala initiated by the Atta. General Ogbe the son of Ajide attacked him at ldah, and was supported by General Udenze who controlled the Anam riverine area. Onoja Nwoboli left Aguleri and joined the lgalas because he was one of the remnants of the lgala descendants still at their Aguleri ancestral home. General Onoja was stopped at Ogurugu from pushing Southward by General Enewelue who founded the Anyamelum area and part of Nsukka districts. But some remnant of lgala at Aguleri loyal to Atta created disturbances at their Aguleri ancestral home which made a section of Okpuno Nri, to move in a hysteria of haste to the present Imo State where they settled as Ngwas, a name reflecting the nature of the hurry (ngwa ngwa) with which they fled. 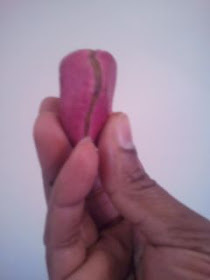 Okpuno Nris were made up of Okpu-enu, Okpuana and Aro. From the Okpuno dynasty came Disi Nri whose descendants founded Abacha named after their leader, Ikendu Abacheleku, in the present Idemili Local Government Area. There the principal village is Umudisi. Their ancestral home is Umudisi village at Ikenga Aguleri. Of the Okpuno elements comprising Okpuenu, Okpuana and Aro, the Okpuana people during the lgala disturbances left in a hurry hence their present settlement is known as Okpuala Ngwa. In remembrance of their ancestral structure and traditions during the Annual get-together of the Ngwas of Okpuala, they usually went on a pilgrimage to Okpuno Ngwa. please I still do not understand how Igalla people have a different language from igbos, yet you say they are frpom an igbo ancestor. please send your answer to lionbuilder2000@yahoo.com thanks.